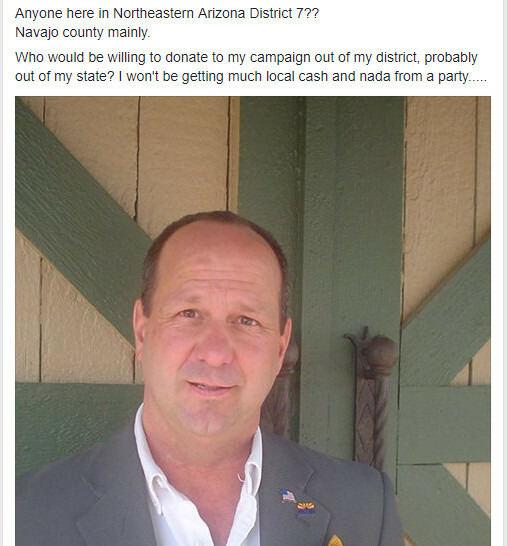 Itinerant Republican and American Elect candidate John Lewis Mealer looking for dark "out of my state" money. Facebook screen capture. 6:02 pm, Mar.17, 2018.